Petron Bataan Refinery wanted to expand production to process 180 thousand barrels of crude oil per day while changing its feedstock from Arab Light to less costly heavy and sour crudes. Along with this, a more stringent water classification was imposed on Manila Bay, hence requiring a more advanced wastewater treatment facility. 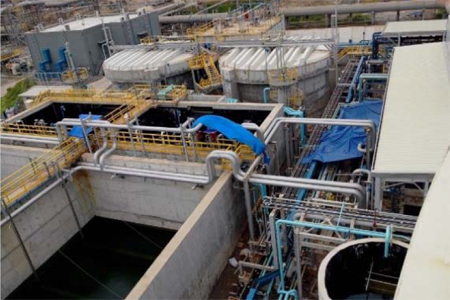 The process changes required a new wastewater treatment plant to produce the newly mandated effluent characteristics that would result from these changes.